Greatly experienced at wearing many hats for most of the recent Terrence Malick projects (he served as an editor on “To the Wonder” and worked on “The New World”), A.J. Edwards steps out onto his own with his stellar debut feature, “The Better Angels” (which opens in select theaters November 7). 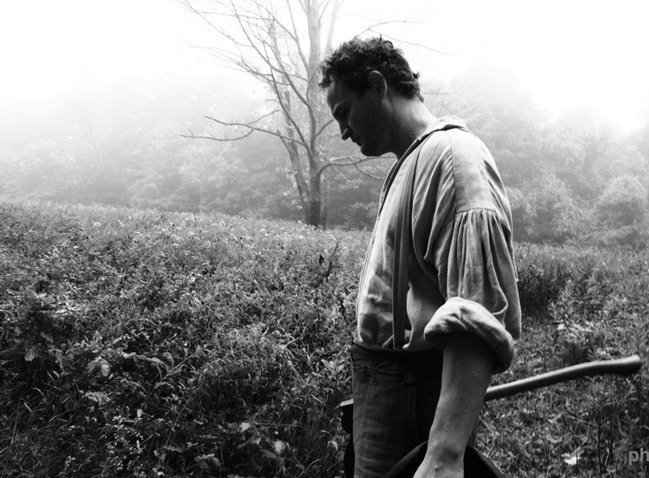 Starring Jason Clarke, Brit Marling, and Diane Kruger, “The Better Angels” is an ethereal retelling of Abraham Lincoln’s early life in Indiana. 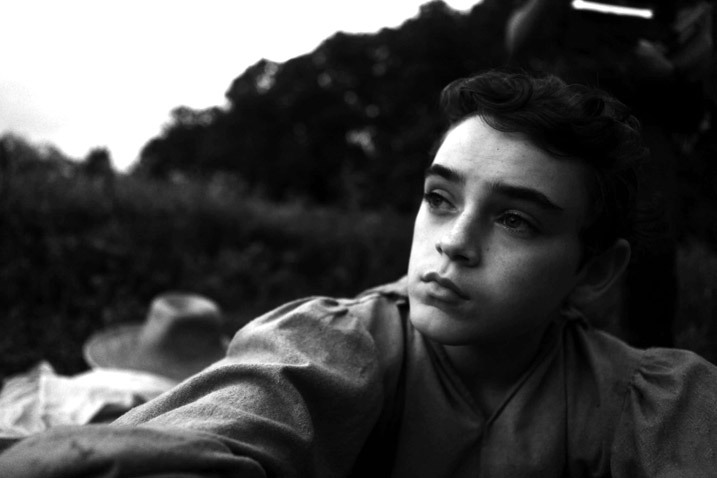 Captivating and breathtakingly beautiful, Malick’s influence on Edwards’ imagery is indelible throughout the film; yet, it is clear that despite the evident connections he strives to imprint his own vision into the project. Utilizing light and silence as his strongest tools to craft visual poetry, Edwards’ historical drama cements him as one of the most interesting voices to come out in quite some time and one to keep an eye on in the near future. What went into the film was the conception of lots of research. I’ve been working on it for about six years. I got some great shoulders to stand on in terms of historians: William Bartelt, our historical consultant, Benjamin P. Thomas, Carl Sandburg, David Herbert Donald and the works of Ida M. Tarbell. This slice of Lincoln’ life is very mysterious and somewhat unfamiliar to many. We all know the five years he spent in office, but we don’t know the 50 years leading up it. We specially don’t know the Indiana years, which are so essential to his development, and that was the attraction. Where did the spiritual element that is embedded in the film come from? There is a sense of divinity in every frame, why did you choose this stylistic approach? Sure. I’m glad you noticed that. Lincoln was raised as a primitive Baptist, that was the denomination in that region at the time, and they were a people that were anti-slavery. His father was anti-slavery having worked side-by-side with Black people himself when he was young. So that had a very bitter taste on the Lincoln family’s mouth. His mother taught the Bible often. One of main stages of the children’s’ education was Old and New Testament readings, and when there was a church present they were churchgoers. Although Lincoln himself actually did not attend church as often as his family, and he himself was never even baptized his entire life. I’d like to think that besides the teaching of his family, his school education, and his self-education, there was an outside force greater than all those things, which was guiding him. Something like faith, or something like spirit that was always present. Part of the reason that such divinity comes across is the beautiful cinematography. The landscapes, the camera movements, and the way light becomes sort of a subconscious character all play a role. How arduous was the work with your Director of Photography to achieve this atmosphere? We wanted artificial lighting to be as minimal as possible, and to have as much of a documentary-captured look as we could. He created a very simple but elegant lighting scheme outside the cabin whenever we needed to blast light in for the sake of stop. But other than that we were so benefited by the time of year in which we shot, Fall, and then being in upstate New York where essentially we always had sort of light coming horizontally at us, never too direct. I’m so glad when people have noticed that Brit and Diane seem to always be bathed in light, yet the source of it is not always quite apparent. That sometimes gives it a divine feel as well. Given that film is slim on dialogue, how does this change your work with your actors? Does it become something more elemental rather than specific? Yes, I think that’s a great word for it, elemental. The minimal dialogue was not to be noticed as though something was missing, but rather that was the approach, to have a picture that was not just a vessel of dialogue in which the actors are treated just as people who are there to deliver words. The approach was really an experiential picture, one that is there to capture behavior, expression, nuance, and to really be in that world and walk with the Lincoln family and experience the sensual as well as the emotional. The cast is excellent, I think Wes, Diane, Jason, and Brit all did some of the best work of their careers because of how well-prepared they were, how researched they were mastering their accents, and giving so much though visual storytelling. “The Better Angels” played in the New Frontier section at Sundance, which is usually reserved for works that don’t fit any traditional parameters. Do you think it fit with the rest of the films there? I was really flattered that it was placed in the New Frontier category considering the description of the work there: boundary-pushing, forward-thinking, progressive in terms of the cinematic and artistic integrity of the project. I sure hope that it was included deservingly because I was very pleased to see that they thought the description matched the picture. Did you ever feel any pressure making a film of this magnitude as your debut feature as a writer/director? I think that in retrospective my naiveté was my strength. This being my first picture I definitely did bite off a lot to chew, tackling a historical subject with such a large and impressive cast. There were definitely y some challenges, but I think everyone’s was so up to it, they were devoted to the material, they were excited by the meaning we were going for that it came together well. Also the four incredible producers of the picture, which I’m very grateful to, Charlie, Nick, Jake, and of, course Mr. Malick. We were lucky. Speaking of Terrence Malick, how do you feel about all the comparisons and all the mentioned of his name in relation to your project? I’m very flattered by them. For a filmmaker to be compared to him is like first-time author being compared to James Joyce. I think some of them are a little surprising because of what a master and a legend he is, but at the same time I hope the film has its own voice, its own legs to stand on. The uniqueness of the picture relies on the subject matter itself, and I think there are many new ideas, which Mr. Malick hasn’t explored in his material. Also, the soulfulness and the brilliance of the cast, I keep returning to that because I’m so proud of both the adult players as well as the fresh-faced children, which had never acted before. All these different worlds coming together create one complete authentic and believable one. They did an outstanding job in creating a multi-faceted, emotional story that I think is so important to today’s audience. What is next for you? Will you follow up with another period piece or historical drama? I’m working on a contemporary picture that takes place in central Texas. It is a redemption story and I’m planning on beginning shooting that this fall.